Tight on time? 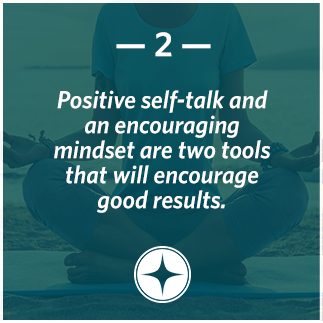 Stick with the 3 Key Takeaways and The Basics. These will provide your athletes with a solid foundation for being prepared in sport. Preparation is not just laying out your uniform the night before a big competition. It begins months before, when you develop patterns that connect your mind and body and allow you to focus on training and competition. There are three main components to preparation, all of which give you the tools to stay focused, achieve the best possible outcome, and link the body and mind together. Prior to competition, you should have a consistent, reliable routine that gets you ready to focus and be in the moment. You should repeat it during practice so that you are almost on autopilot when game time comes. 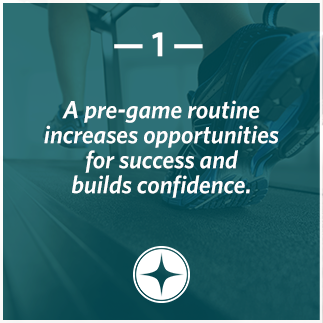 A pre-game routine can have multiple elements, ranging from smaller rituals like always putting your left shoe on before your right, to longer ones like breathing exercises, meditation, or eating a healthy meal. You can also use rituals during competition, like before a serve in tennis or a pitch in baseball. This technique is an effective way to practice your sport without taxing your body. You run through a successful game/race/inning/shot in your mind, using your senses: How do you feel? What do you see? Hear? 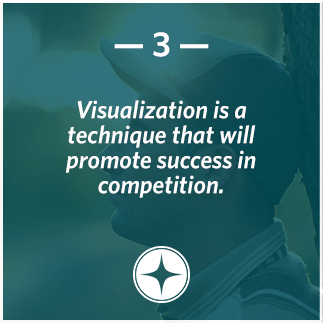 It’s important that the visualization always ends with the desired outcome, and calling up the same positive images repeatedly actually enhances your physical skills. 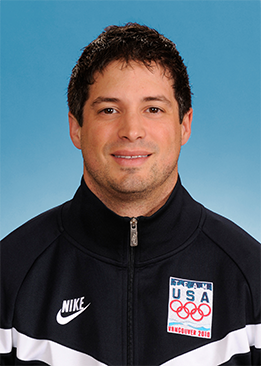 Bobsledder Steve Mesler, a gold medalist in the 2010 Winter Olympics, discusses preparation and how it can improve athletic performance. Steve understood the importance of having a simple routine during the training days leading up to his Olympic competition. His plan was to set a pattern that he practiced every day, so that when the race came he could simply focus on the routine and avoid any distractions. Steve and his Olympic teammate, Justin Olsen, were responsible for pushing on the same side of the four-man bobsled. They needed a routine that focused on their timing so they could maximize their ability to accelerate the 552-pound sled. Steve and Justin created the command “1-2-3 HIT” which they repeated out loud before each practice run throughout their training. By focusing on that simple sentence and returning to the basics, Steve and Justin were able to polish their routine, which came in handy when they were competing under pressure. Implementing a pre-competition schedule and focusing on the process was a significant factor in their four-man bobsled team winning the Olympic gold medal, a first for the U.S. in over 62 years. 2. Do you think Steve’s team could have won the gold medal without a pre-game routine and their 1-2-3 HIT command? Why or why not? 3. Do you have a pre-game or pre-training routine? Use this 15-minute guided discussion to reinforce the importance of proper preparation. These 15 & 20 minute activities geared towards all-ages will both relax your athletes and teach them how to visualize a desired outcome. Celebrate your group’s completion of the TrueSport Preparation lesson with this special certificate. Sign-up to receive resources on Preparation!